Melbourne, Australia-based TAPPD looks to redesign the way iOS users find new apps with its social app discovery platform of the same name. The TAPPD app allows users to find the apps that are currently most popular in their social circles, providing a more personalized list of suggestions than those found on generic app store charts. 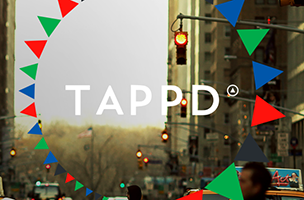 TAPPD supports all varieties of apps, from lifestyle and music apps to games and more. Users can see the hottest apps currently trending on the platform, and can follow users or friends with similar interests. In doing so, users can see the apps those friends are currently using and enjoying, and can download them as well. The platform’s Daily TAPP offer recommendations on the best apps each day, while the app’s in-depth search function allows users to find apps based on location, hashtag or basic app name. In addition, the app offers a “TAPP and Tell” button, which encourages users to share what they think about an app with a single button. TAPPD is now available to download for free on iOS. Check back soon to follow the app on AppData, our tracking platform for mobile and social apps and developers.